As a member of Veterans For Peace I am part of an organization representing thousands of U.S. military veterans who have participated in various overt and covert U.S. interventions violating the sovereignty of countless countries. This policy has caused incalculable harm to people, cultures, and the environment. Our personal experiences summon us to carefully re-examine the nature and patterns of U.S. foreign policy. Our clear understanding of past and present imperial adventures compel us to passionately and tenaciously oppose further militarism, war and aggression which we see as severe obstacles to the continuation of our species. S. Brian Willson, commander of an Air Force security unit in Viet Nam, a trained lawyer and criminologist, and former dairy farmer, has been a long time activist critiquing the US criminal injustice system while investigating its criminal interventions abroad. 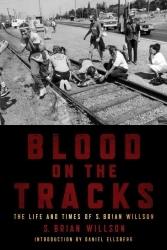 He is a long time member of Veterans For Peace and recently authored his psychohistorical memoir, Blood On The Tracks: The Life and Times of S.Brian Willson (PM Press, 2011). This entry was written by brian, posted on at 4:49 pm, filed under Brian's Blog, Korea. Bookmark the permalink. Follow any comments here with the RSS feed for this post. Post a comment or leave a trackback: Trackback URL. reason for working in government entities could be the benefits. Also usually do not apply should you be insufficiently trained for max performance in the field. oon web I found this wweb site as a finest web site for most recent updates.